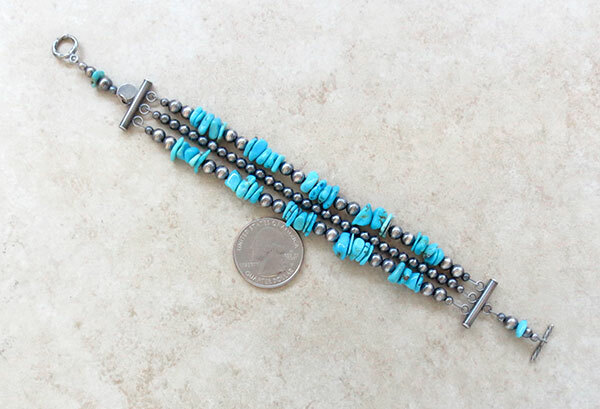 This beautiful bracelet was hand strung and designed by Navajo Artist Theresa Belone. 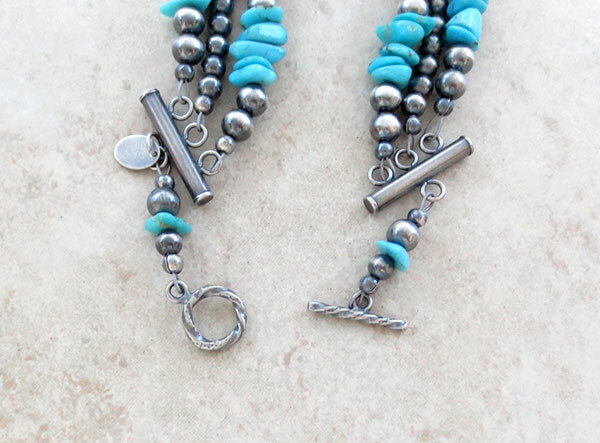 It's a toggle type bracelet with 3 strands of desert pearl beads and accented with turquoise stones. 3 extra circles added at a kiosk jeweler in the mall. Doesn't match exactly but that was fine with me.